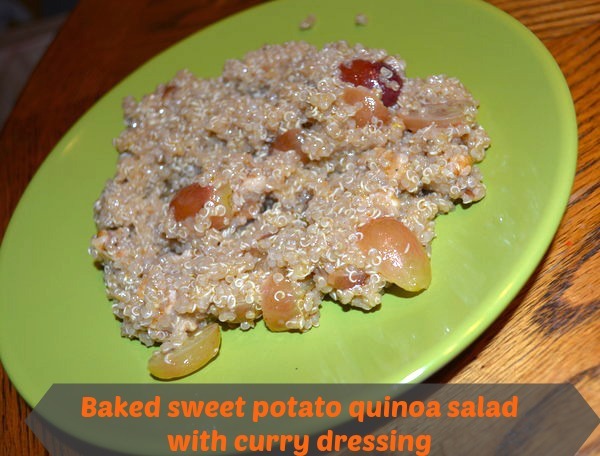 This is a recipe for baked sweet potato with quinoa salad. Although both are great together they are just as yummy alone. This is a vegan recipe, packed with protein and flavor! 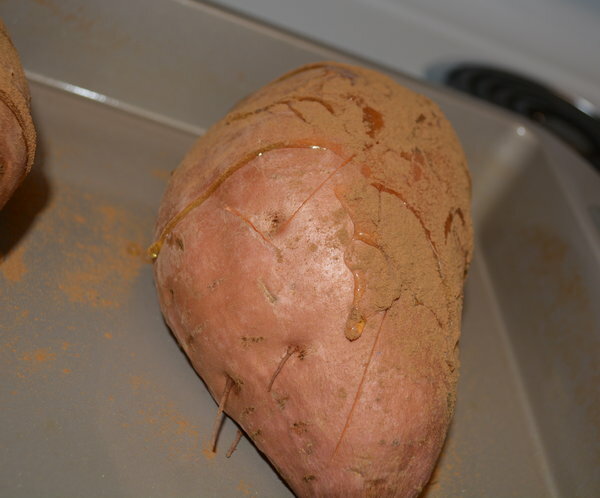 Begin prepping your sweet potatoes by adding some holes or slits around the top of the potato. Wrap the bottom section of the potato, optional. Drizzle honey and cinnamon on top and bake the potatoes for 45 minutes. Mince the clove of garlic in a bowl and mix in the salt, olive oil, pepper, rice vinegar, cayenne, cumin and cinnamon. If you have curry powder you can use 2 teaspoons of the curry powder in place of the cayenne, cumin and cinnamon. Follow the instructions provided with the quinoa. If it does not have any, bring 3 cups of water to a boil. Pour and stir in 1 1/2 cups of quinoa. Cover and bring down to a medium simmer and let cook for 12 minutes. 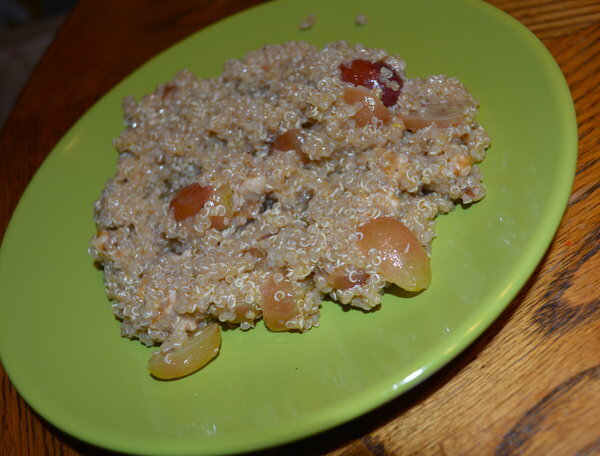 While the quinoa is cooking, cut 2 cups of grapes into halves. Once the quinoa is done cooking, let sit for 15 minutes, during this time you can make the curry dressing. 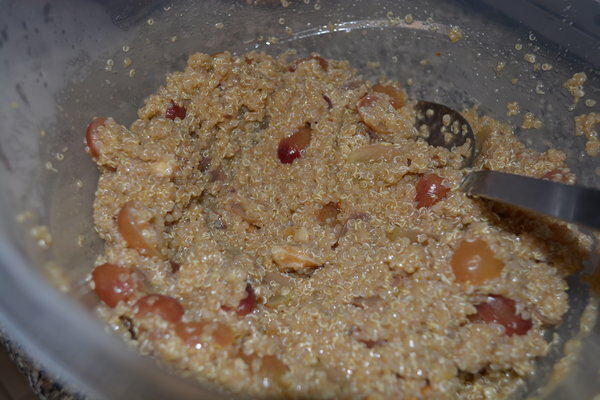 Finally, add the grapes, walnuts and curry dressing to the quinoa. Serve with the sweet potatoes and enjoy! Have you ever cooked with quinoa before? Would you try this baked sweet potato with quinoa salad recipe? You may also like to try this Meatless Monday recipe for sweet potato and couscous patties.